"Queenie" as she was so often called, received her early childhood education in the Washington DC public schools graduating from Eastern High School in 1961. While preparing for her high school graduation she married the love of her life Vernon Spriggs. In 1955, Queen was baptized in the Name of Jesus Christ at The Way of the Cross Church 4th & Virginia Avenue, Washington, DC by Bishop Bridges. She received the gift of the Holy Ghost shortly thereafter. She joined Bethel Way of the Cross Church under the leadership of her uncle the late Bishop Jacob A. Green. While attending Bethel she served as the 1st church secretary for several years. She sang with the True Heart Singers, Young Adult Choir, Women's Choir, and served on the Missionary Board as well as many other functions of the church. In 1983, after a discussion with her Pastor she moved her membership to the Mother Church. the Way of the Cross Chorus, Pastor's Choir, Women's Choir, and Missionary Board just to namea few. National General Secretary Bishop Samuel Davis. She also served as Executive Secretary on the National Missionary Board. agencies such as Department of Energy, OPM, Department of Agriculture, Department of State, and the Navy Department. She retired from the Department of Commerce on December 12, 2012 as an EEO Specialist. She also graduated from Loyola College with a degree in Administration. Jermaine (Continia), Vernon Ill, Tanika, LaTia, Britany, Devonte, Spencer, Sade, Joshua, Kayla, Kevin, Devin, Madison, Ronald (Lakel); great grandchildren: Skylar, Alexus, Sa'mira, La'mira, ZaVion, Jayden, Jahsi, Micah, Nina, Seth, Quaron, Yasir, Hayley, Gavin, Kennedy and Jermaine II; brothers: Charlie Williams, Joel Shapiro (Carol), Ebee Bradshaw, brother-in-law: Pinkney Morsell, Mark Spriggs (Sheila), Anthony Howard, Jimmy Coates; special daughters: Sheila, Shawnte, Pamela and Kim. A host of nieces, nephews, cousins, special sisters and brothers and godchildren. 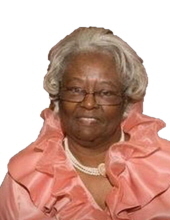 To send flowers or a remembrance gift to the family of QUEEN E. SPRIGGS, please visit our Tribute Store. "Email Address" would like to share the life celebration of QUEEN E. SPRIGGS. Click on the "link" to go to share a favorite memory or leave a condolence message for the family.